Edna Kate Carlton (nee Edna Kate Smith) was was born in Hove, East Sussex, England on 1st July 1905. Her father William Smith was a successful Master butcher located in Richmond, London. He had a contract to provide meat to the local (Staines) council. In 1921 Edna had a boyfriend named Raphael Schwarts (Born 1887). He left Romania when he was an infant and his father was a naturalized Englishman. For five years Raphael was secretary to Lionel Rothschild. In August 1921 Raphael decided to take Edna on a trip to Paris, France, but at the time Edna was only 16 years of age (a minor). They gave her age as 18 on the passport application form. This false statement of Edna's age was picked up by the authorities who subsequently charged both Raphael and Edna with making a false statement with intent to procure a passport, and for aiding and abetting in that offence. Raphael was sentenced to 6 months imprisonment and Edna was bound over and released but had to pay a surety of 50 pounds sterling (surety was paid by her father). Mother was happy with Edna's relationship but her father was not. Ralph appealed the conviction in October 1921. Somewhere between August 1921 and October 1921 Ralph and Edna married. Father had come round in his feelings towards Ralph and stated in the Appeal Court that he was very happy with his son in law. At the Appeal Court Raphael explained he honestly believed Edna was 18 years old. This additional information and the change in their relationship status influenced the court who quashed the earlier conviction and Ralph was released immediately. The happy couple left the court "arm in arm". We believe Edna had one sibling (a brother) but we have no further information at this time. Ralph and Edna divorced in 1935, Ralph re-married. Edna had already become involved in Afghan hounds (since 1933) so it's possible this became her primary focus and interest and she did not re-marry after the divorce from Ralph. 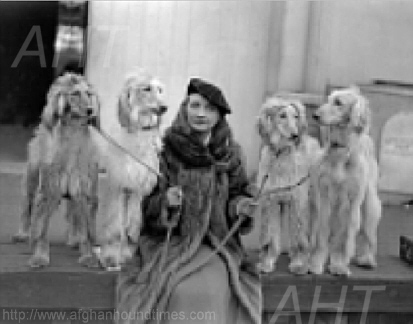 Edna became very involved with Afghan hounds and in conjunction with her friends and breeders Irene Jesse and her husband Colin Drummond Roe of Ghanistan Afghan Hounds, who's kennel was located in the same town (Epsom) where Edna lived in 1933. Edna moved around from the later 1930's but within a small radius of the upmarket west side of London, such as Marylebone and Bryanston Square. Edna died in February 1985 at Hove in East Sussex. Edna's estate was valued at 25k pounds sterling. Edna acquired her first afghan the 14mth old Firdausi of Geufron from Paddy Drinkwater in June 1932.. She also acquired Safiya from Alice Simmons (Safiya and her brother Amanullah were later transferred to Molly Sharpe ). Safiya was an important foundation for the Chaman Afghan hounds. It seems Edna had cause to go out to Australia, leaving Firdausi and Safiya with Irene Jesse(Ghanistan Afghan Hounds) who was living with her father, Harry at 'Mont Bretton', in Temple Road, Epsom in Surrey, England. 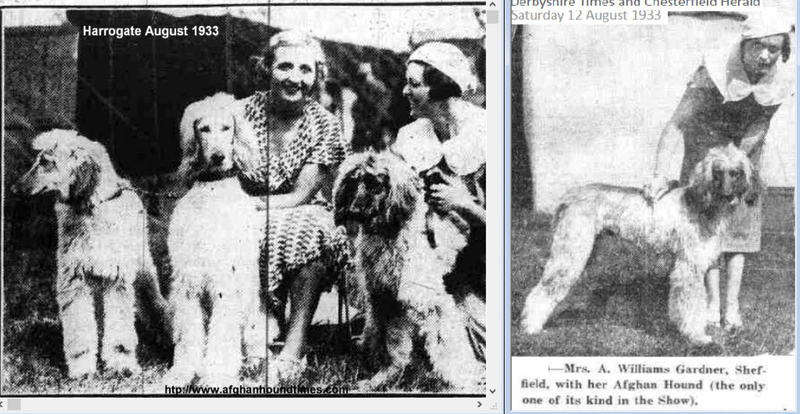 Her full name is Irene Albertine Jesse, and she did marry (in 1935) - which is probably why Safiya went to Molly - her husband (17 years her junior) was Colin Drummond Roe and together they bred the Ghanistan Afghan hounds in Kennel Lane, Fetcham, Surrey. Edna returned from Australia on 10 February 1933. Irene's father had died so Edna moved in, joining her dogs again as did Irene's niece, Stella. Irene kept Udiapur from the litter she raised for Edna (without Udiapur there would be no Carloway). Litter sister Morita (scroll the linked page for photo of Morit) would produce Turkoman Bamboo before leaving in whelp for Australia, brother Ch Chota Sahib would move from Edna to Mrs Bhanubandh (of the Thai Royal Family) and the Azura kennels while Edna's Ch Chankidar would produce Omar of Fortworth for Mrs Farrell in the US. Edna died in 1985 in Sussex. Irene died in Gloucestershire in 1975. 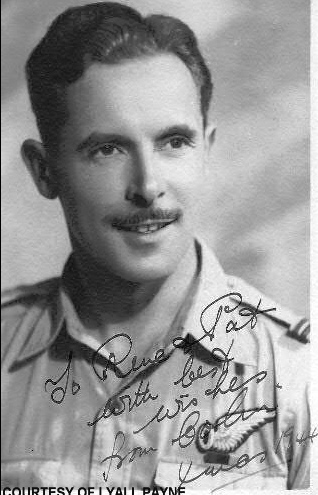 Colin served in the Royal Air Force in WW2 and she and Colin divorced. He went on to become an author and international expert on aquarium plants. Together they had also bred Alsations (German Shepherds). He died in Staffordshire in 1981. (Some observations by Lyall Payne) - Edna Carlton is the lady who bred Omar of Fort Worth, Chankidar, Chota Sahib, Morita and she also owned Firdausi of Geufron and Safiya. These hounds above were born just after the photo above was published. 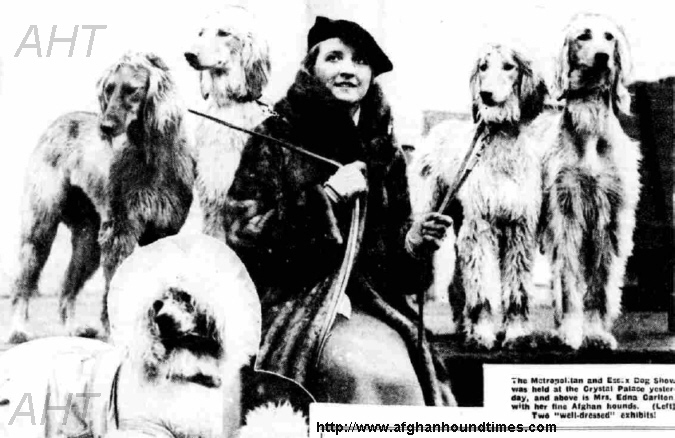 Mrs Carlton was probably Molly Sharpe's (Chaman Afghan hounds UK) friend - as Safiya went to Molly (Molly owned Safiya by Dec 1935) and this trip may have been when Safiya was delivered or Molly saw her and said 'I want that'!! I suspect the white dog is Firdausi of Geufron (he was cream). Great eye shape on these dogs "nearly triangular"
Update July 2018 - another photo for the collection. This photo below/left was taken at Harrogate (Yorkshire, England) Championship show in 1933. The hounds are unamed but our thoughts are that they are (left to right) 1. Firdausi of Geufron, 2. Chota Sahib, 3. Chankidar. Edna is on the left and the lady on the right is Mrs Williams Gardner. We cannot trace a Mrs Williams Gardner as an owner of an Afghan hound , so we are thinking perhaps that Mrs Williams Gardner was a friend of Edna and was helping her out at the show on the day? Lyall mentioned that Edna Carlton kept Chota Sahib and Chankidar for some time - so these could well be them as 7mth old puppies. Paddy Drinkwater had Firdausi of Geufron entered here, so Edna may have taken the puppies to 'show Mrs Drinkwater' - they were sired by Firdausi - who would later go to live with Edna (maybe she was picking him up this day too). The second photo above/right right was taken in the same month/year as the photo/left and shows Mrs Gardner with an Afghan hound at a show in Derbyshire. Whether in fact Mrs Gardner did own her own Afghan hound, or whether she was again helping out Edna at the Bakewell, Derbyshire show is not known. The hound looks very much like Chankidar as seen in the left photograph. We will try and track down the catalogue/entry for the aforementioned shows which should resolve the ownership issue for us. Back to Edna.. we have mentioned UK Ch Firdausi Of Geufron several times. He was perhaps Edna's most famous dog. The Molly Bishop sketch of Firdausi is outstanding. If you would like a free printable copy (10 x 16 inches) for framing, with no watermark, please click here When the larger image shows, right mouse click on the image to save it to your computer.